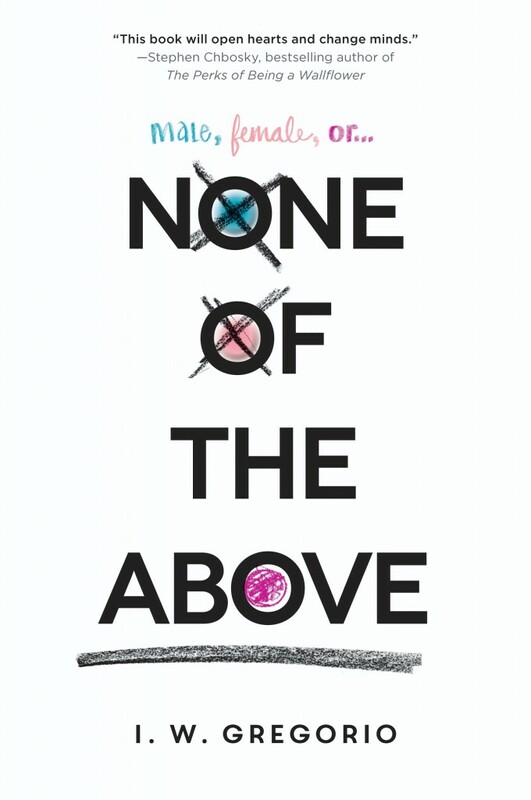 Dealing with her body is difficult enough, but when her diagnosis is leaked to the whole school, Kristin’s world completely unravels. With everything she thought she knew thrown into question, can she come to terms with her new self? This is so exciting! I’m very happy for you and wish you all the best. 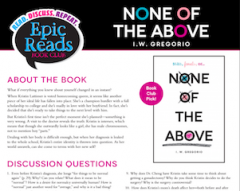 I am a teacher in Chile and always try to recommend good and diverse YA books to my students. I hope someday this book is translated in Spanish so I can tell them to check it out. In the meantime I will read it when it comes out (a day after my birthday now I notice hahaha) Thank you for writing! i just got done reading the book and i could not put the thing down it was so good.I wish i can read it over and over again. 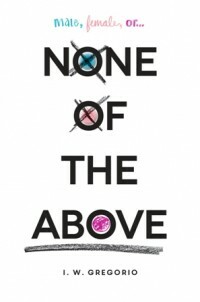 Pingback: "None of the Above"
Hi! I met you, at the Little Flower writer’s festival in April (not sure if you remember, but I was the one that mentioned that I want to go into pediatric oncology). I finished None of the Above that night (okay, it may or may not have been three A.M.). I love it so much. I’ve told basically everyone I know about it. Although I did always find it odd that the hardback was black and white. NOTA really did teach me to look at things in shades of grey, rather than black and white. Either way, it’s amazing. Thanks again for the pep talks during Camp! Although actually, that’s kind of wrong. I myself live in a shade of grey (though not the same kind as Kristin). NOTA just helped me realize it and get used to it. Katy, thank you so much for the note, and for sharing NOTA with your friends! Hope to see you again at Little Flower! This book was so amazing! I really didn’t want the book to end and I was wondering if there is going to be a sequel?? Alas, Amy – I always thought of NOTA as a stand alone. But stay tuned for some exciting news about how Kristin’s story might continue! It was an amazing book I just finished it today but I was wondering will you ever write a second one to finish the unknown story between Kirsten and Darren? Thank you so much! Interestingly enough, I always thought of NOTA as a stand alone. But stay tuned for some exciting news about how Kristin’s story might continue! Pingback: Here’s What Everyone Should Know About the Intersex Community - How to do everything! Hi, I read your book a while ago and absolutely loved it. My friend just finished it and also loved it, she brought it up and now I’m wondering it too, is there going to be another book by you soon? I feel slightly silly for posting this here. However: I’m currently in college to become an English teacher and this year, we’re having a competition to see which Young Adult books should be on the mandatory reading list for next year. 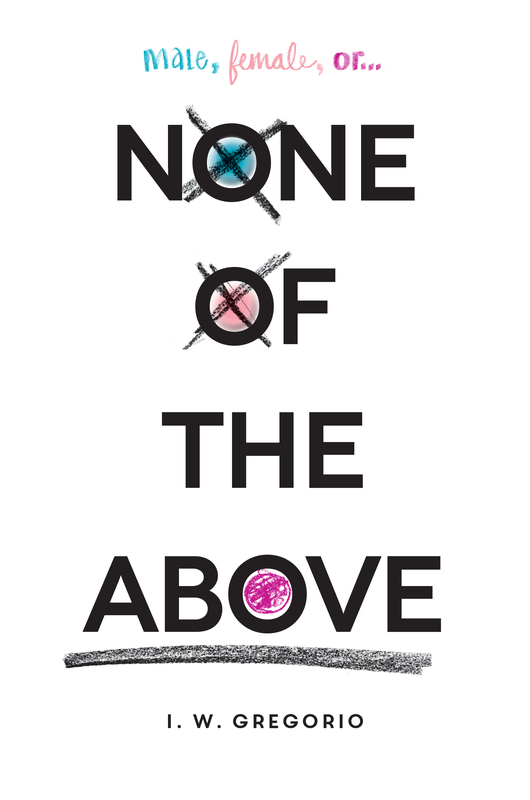 I’m nominating ‘None of the Above’ and would like to get my hands om some promotional material, like a poster or bookmarks. Does anyone know where I might find some? I loved this book so much! Need a movie adaptation now. Also more books with new themes and diverse characters like NOTA. love love love!